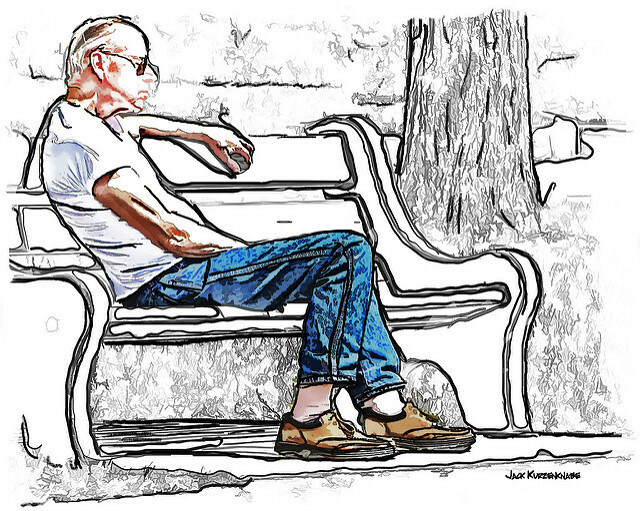 Although society has long described retirement as “happy”, for many people it is a difficult transition characterized by feelings of grief and loss. Joe couldn’t wait to retire. He planned to volunteer, garden, play tennis and was looking forward to travelling. He teased his colleagues who were still “chained to a desk” as he flaunted his coming freedom. Our society has long touted retirement as a measure of success. Other people assume our happiness for reaching that long-awaited goal. They speak of envy, telling us how wonderful we should feel. Not so fast. You leave a lot behind when you retire—your reason for getting out of bed in the morning, your title and status, the accolades of the job, and the assurance of your productive value. You miss colleagues with whom you associated on a daily basis, familiar surroundings, and more. For many retirees, these losses are complicated if you have to leave the workforce sooner than intended. Even if you retire according to plan, you can be caught off-guard by the intensity of the experience, which may trigger profound grief as you realize life will never be the same again. In other words, as with so many life transitions, there are many things for which retirees are grateful, but there are many other things about which they are sad. Before you retire, begin a wish list of things you want to accomplish, places you want to visit, and things you want to learn. Start on a few now, and every time you achieve one, add another. This keeps you dreaming continuously, rather than thinking of retirement as the magic time to achieve all your dreams. Involve your significant other in discussions about retirement. Watch for differing expectations (i.e. you expect to retire to the cottage on the lake, while your partner expects to sell the cottage and move to Arizona.) Work to get in sync. Golf, sailing, or any other enjoyable activities can get old fast if they are the only focus of life. Expand your thinking to consider meaningful activities. If you want to volunteer but aren’t sure where, spend an hour or two a week volunteering at various places now until you find a good fit. Then when you retire, you already have relationships and feel comfortable in that setting. Research community colleges and available options for classes you’d like to take when you retire. Learn about things that always interested you, or choose something new. A month before retirement, take pictures of your office and then gradually take things down. As you do so, acknowledge your mixed emotions by asking yourself what you most look forward to and what you will most miss. Then as the day nears, plan at least one activity a month that you can anticipate – visiting adult children, a sports game, or a museum you haven’t had time to explore. Mood, immune system, and overall health are affected by major life changes. So rather than looking at retirement as a chance to indulge or “let yourself go”, eat right, keep good sleep patterns, exercise, stay in touch with your doctor, and maintain a healthy lifestyle. Retirement is a major life transitions with profound impact. Give yourself permission to grieve your losses even as you celebrate your gains. Increase your awareness and work to adjust. Over time, you will settle in and enjoy this adventurous new chapter.